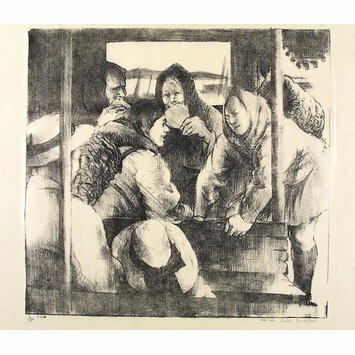 This print shows the camaraderie among a group of French fisherwomen. The artist was Celia Bedford. She was an artist member of the Senefelder Club. This group formed in 1909 to promote the art of lithography. It took its name from Aloys Senefelder, who developed this printing technique in 1798. Lithography is based on the fact that oil and water do not mix. The artist uses a greasy medium to draw the image on polished stone (later metal plates). The stone is wetted and the oil-based printing ink sticks only to the greasy image. The image is then transferred under pressure to paper. 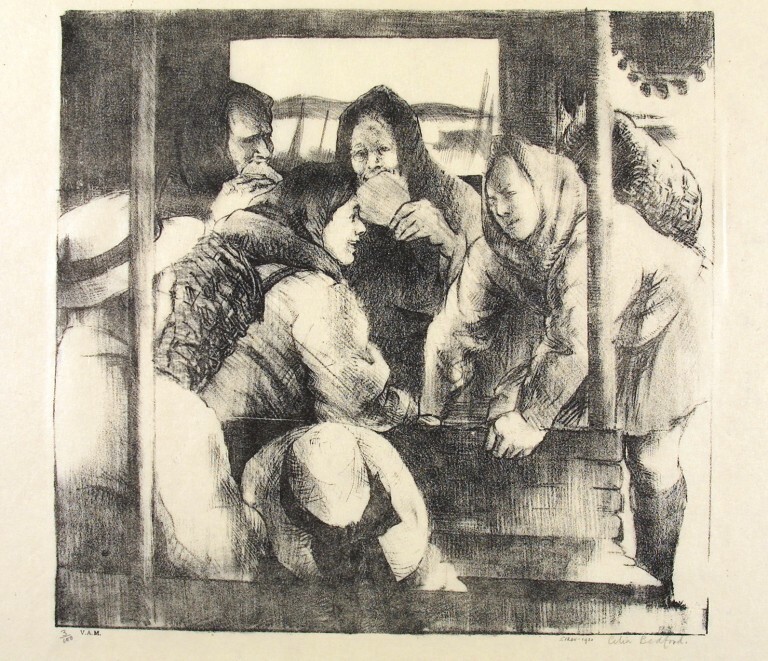 Artist members took turns to produce a lithograph, and lay members received a signed proof in return for their annual subscription to the club. This is Celia Bedford's subscription print. Subscription plate issued to Lay Members of the Senefelder Club.